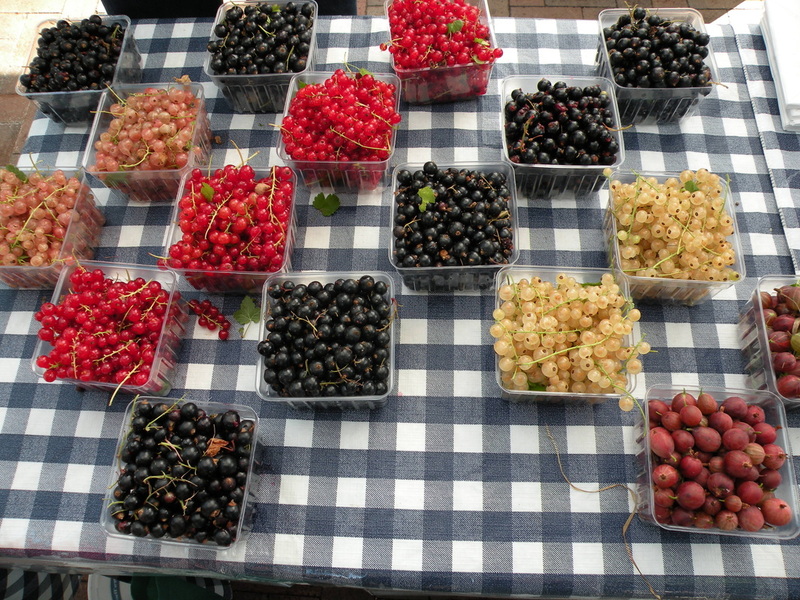 We have a variety of small fruits which include Blackberries, Currants, Gooseberries, and Grapes. These plants are being evaluated to see which ones perform best here in Southeastern Idaho. We determine this by collecting data for cold hardiness, fruit yield, and taste. Among the evaluations are 12 varieties of grapes. Grapes are a highly productive, ornamental small fruit that is widely popular throughout the world. Expected yield per vine is between 6 to 10 pounds. The fruit can be used for jams, jellies, fresh eating, or deserts. Although the plant takes four years to fully mature, many varieties produce in their first or second year and remain productive for over 30 years. Cold Hardiness is probably the most problematic aspect in our climate; grapes have a cold tolerance that ranges from +5F to -25F depending on the variety. There are many varieties that do well in our climate. The optimum pH range is 6.0 - 7.0 however grapes are also very tolerant of soil pH. With vigorous growth and incredible fruit yields, grapes are the perfect addition to a backyard garden. You should expect grape vines to be injured or killed by freezing temperatures. Most of the time the trunk should be protected by covering it with 12” of mulch or soil. We are trying a new method of protection by using a Hinged trellis. As shown in the picture the wire frame separates from the support beams and can be lowered to the ground. In late fall the trellis will be lowered and covered with mulch to protect the entire grape from freezing. 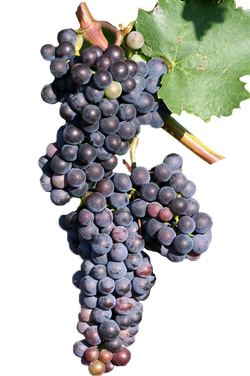 Grapes are upright vines capable of spreading up tp 25ft. They are often used in backyards to cover arbors, climb walls, or spill over fences. Grapes must grow on a support structure of some kind and be pruned each fall. Grape yield data coming soon! 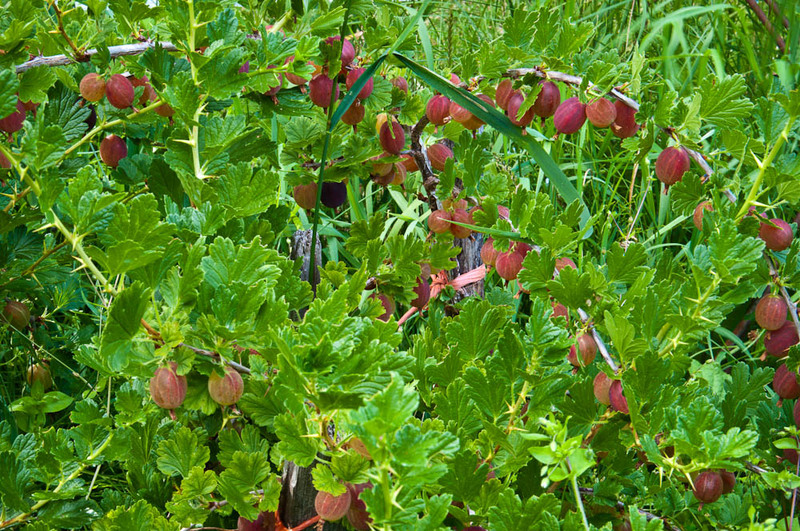 The Gooseberry is a thorny shrub that prefers cooler climates. Gooseberries are known for high productivity and a tart fruit. Yields can be expected to be about 4lbs per square foot. 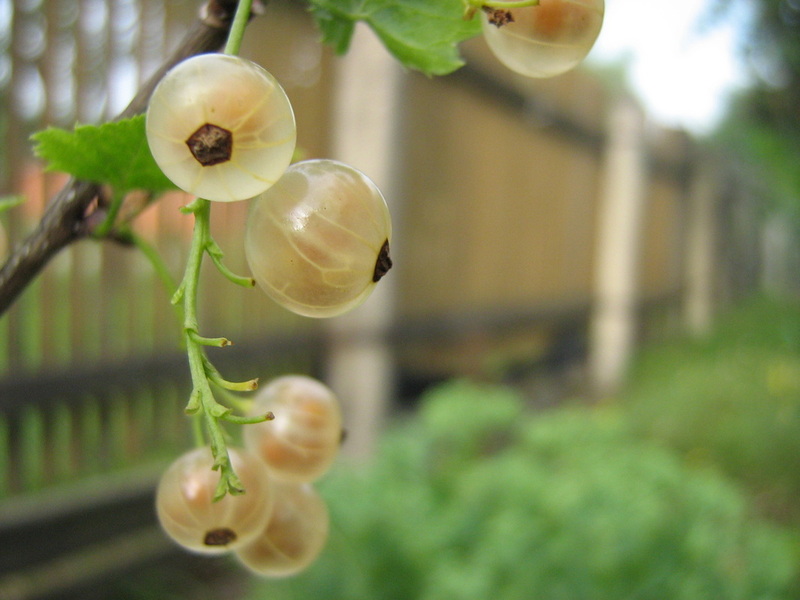 Gooseberries are a deciduous bush and can reach up to 5 feet in height and in diameter. Berries range in color yellow, white, red, or green depending on variety. 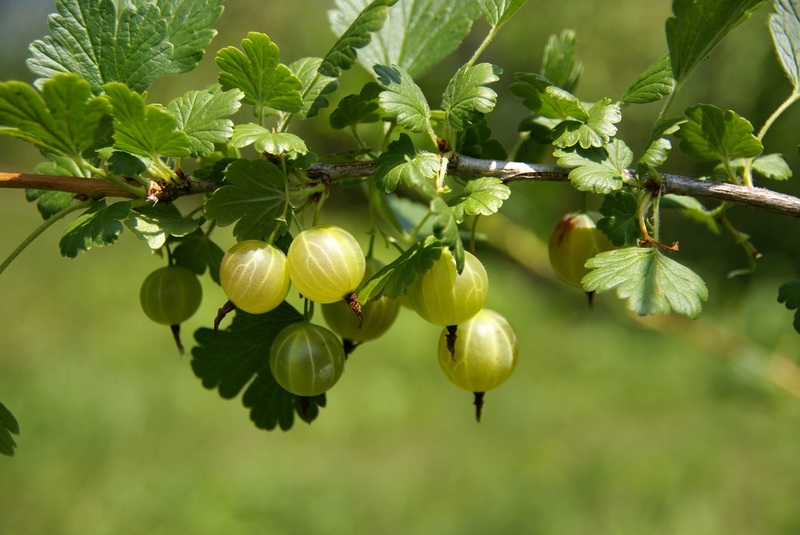 Gooseberries are a popular pie filling or can be used in jams/jellies. We have five different varieties of gooseberries all with similar color but with varying fruit size and sweetness. The above graph are the results of the yields for a season per square foot. 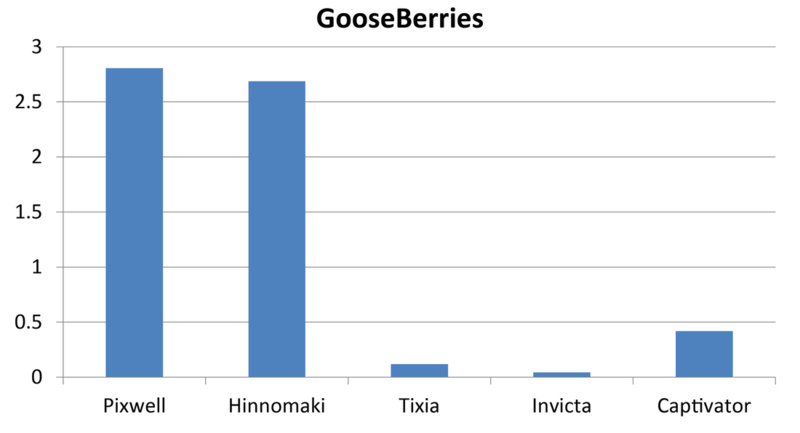 Our best tasting Gooseberry is Tixia with Hinnomaki and Invicta coming in second and third respectively. 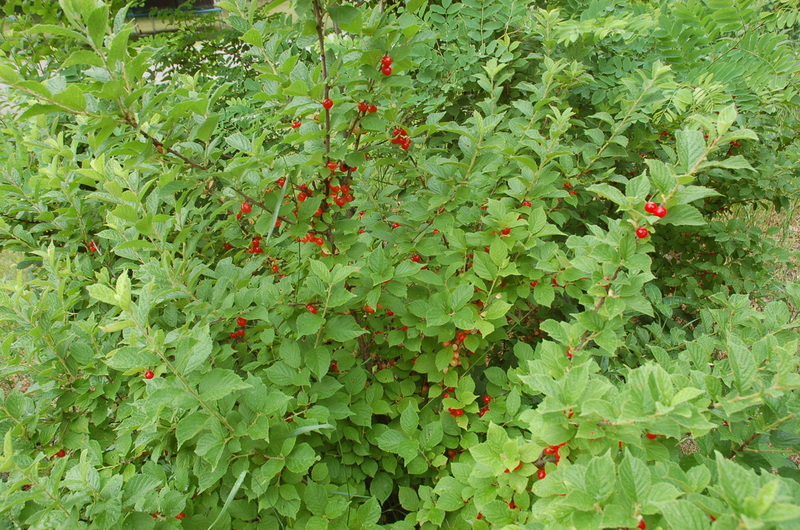 There are three types of currants black, red, and white which mainly refer to the color of the fruit. Black currants are very different than red and white currants. Black currants are grown in a stool system because fruit only bears on new wood. 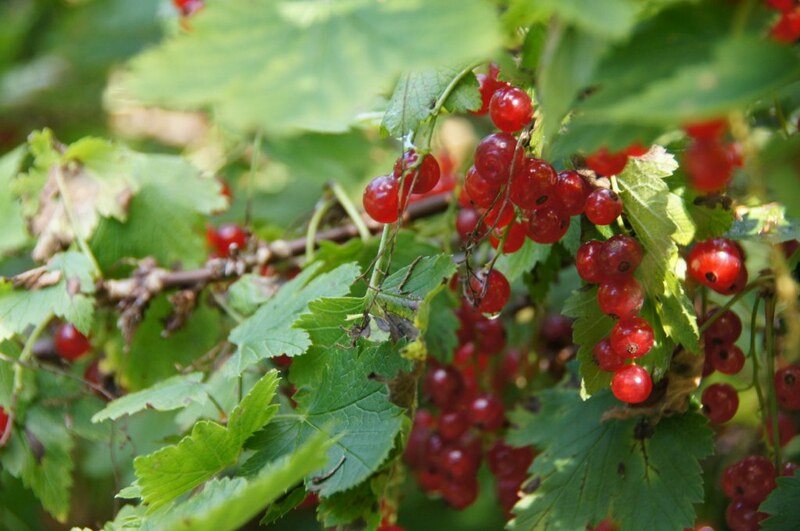 Red and white currants are grown similar to apple trees, but only reaching 5-6 ft. height and spread. Yield, when plant is mature, average one quarter of a pound per square foot with black currants averaging 50% less than that. The above graph are the results of the yields for a season per square foot. 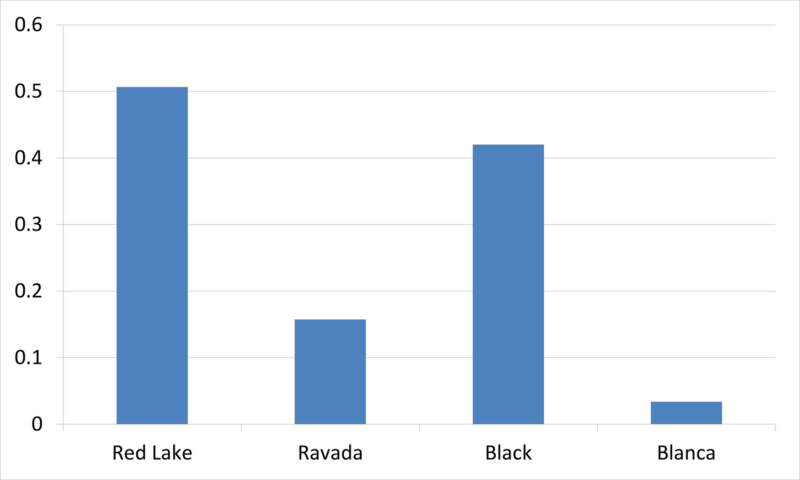 In our annual taste tests The Ravada current beats out all of its competitors. Nanking cherries are both very cold and drought tolerant which make them a perfect shrub for Rexburg, Idaho and the surrounding area. The Nanking cherry has a hardiness of USDA zone 2-7. 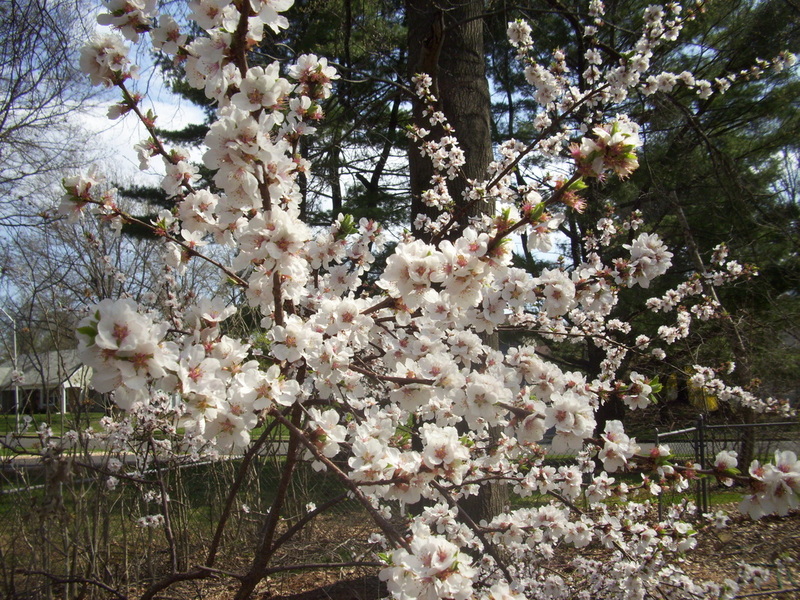 Height and spread of a Nanking cherry at maturity are 5-10 feet. This shrub makes a great windscreen as well as provides beautiful color with spring blooms. After the third year the Nanking cherry starts to heavily produce and will produce about a half pound of cherries per square foot. This can equal up to 15 pounds per bush. Uses of these cherries include: fresh eating, jams, jellies, baking, cooking, and as flavor additives to drinks, vinegar's, and sauces.